Pro-5 R Five-Layer Progressively finer mesh cotton media for high airflow with high filtration efficiency. Pro 5R Media: This filter features Pro 5R oiled 5-layer progressively finer mesh cotton gauze media for maximum performance. The progressive layering of media allows the filter to flow at high levels even when dirty. This media is washable and reusable for multiple cleaning cycles. 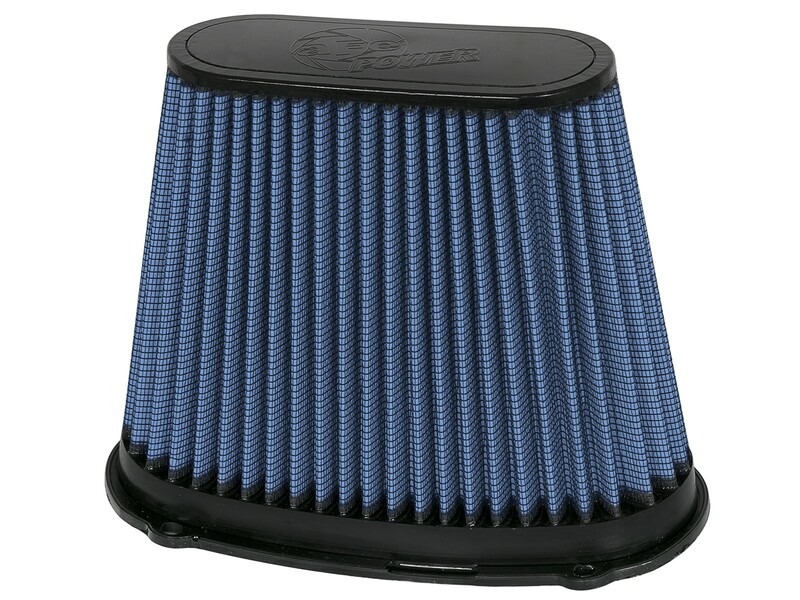 Rounded Open Pleats: aFe performance air filters use a tall, rounded, evenly spaced pleat design which produces more useable filter surface area for increased airflow and greater dust holding capacity. 100% polyurethane construction: To allow multiple cleaning cycles, the air filter is made with 100% 55 Shore "A" pliable polyurethane that does not deteriorate with time or exposure to heat and chemicals. Piable urethane ensures excellent sealing capacity without the use of foam gaskets or sealing grease. 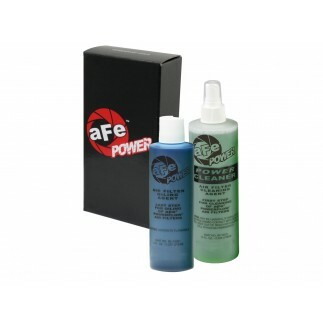 aFe Power OE replacement performance filters have a life-time warranty, will not void the factory warranty and are emission legal in all 50 States.